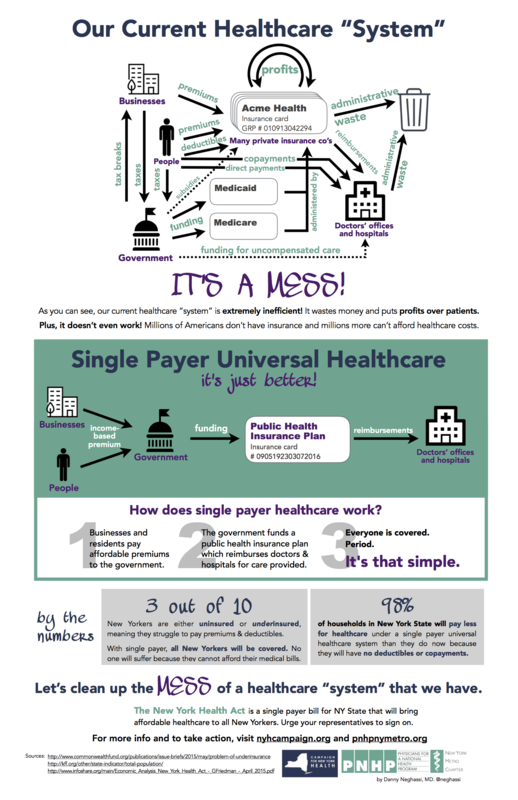 Key Features of Single-Payer: A useful handout detailing the main features of single-payer. 11" x 17" pdf for printing single-sided. PNG image for sharing online. PNHP's Senior Health Policy Fellow Don McCanne, M.D. writes a daily health policy update, taking an excerpt or quote from a health care news story or analysis on the Internet and commenting on its significance to the single-payer health care reform movement. PNHP posts the Quote of the Day here; to subscribe to the listserv, please visit the Quote of the Day the mailing list website. 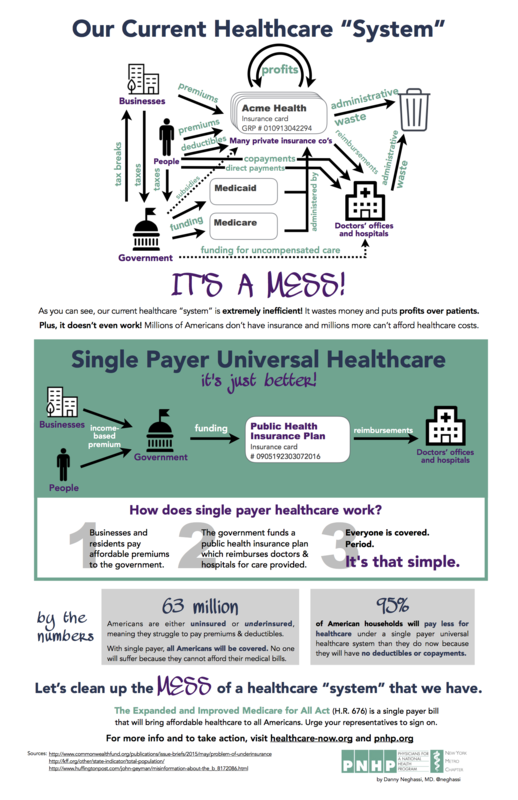 PNHP's research drives the debate on health care reform. See the most up-to-date research released through the PNHP National Press Page. Minority physicians care for a majority of underserved patients in the U.S.
Healthcare: A Right or Commodity? by Adam Gaffney, MD as presented at the October 2014 forum. Video of the presentation can be viewed here. Labor and the ACA: Problems, Threats, and the Way Forward by James McGee, CEBS, Executive Director, Transit Employes H&W Fund. This presentation was filmed and can be viewed here. A complete collection of the Health/PAC Bulletin, the hard-hitting and muckraking journal of health activism, health care analyses and critiques which published for over three decades is now on-line and free at www.healthpacbulletin.org.